Discuss the methods to develop the concepts of social responsibility further to get in line with the state of art and the requisitely holistic development in the social, ecological and business environment, setting special focus in reflexive behaviour, interdependence and creative cooperation. Elaborate the cases of socially responsible behaviour in companies, government and non-governmental organisations, or active citizenships. The aim is to give example on how to rethink standard processes from multiple perspectives and to integrate socially responsible behaviour. Report on measurements, measuring methods and results, related to social responsibility that support planning, implementation and optimisation of socially responsible behaviour. 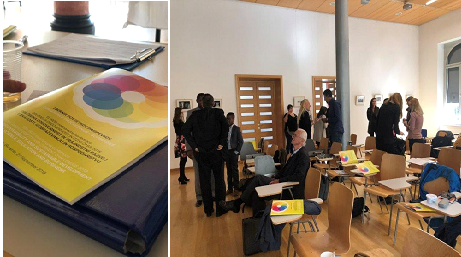 By sharing their experiences, either theoretical or practical in nature, the participants will help finding the right path to introduce socially responsible behaviour into business organisations and, the most important, people. That is why we kindly invite you to share your insights with other authors and discussants, including scientific & other researchers, top consultants, other experts and experienced practitioners, with joining this conference as audience and/or with contributing your paper. Young presenters that are participating in the educational process are most welcome. Please do not hesitate to report about your work on different topics of our conference! Please take a look at Conference Call for papers and send us as soon as possible your fulfilled Registration form! Thus, much information we will collect at one spot to apply them in research and practice – therefore you should not miss this conference! Share your ideas, dilemmas, and views with speakers and other participants. The number of speakers is limited. Please find some crucial instructions for authors of papers in further reading. Please send us your registration form ASAP on e-mail: info@irdo.si. Please send us your registration form ASAP on e-mail: info@irdo.si. 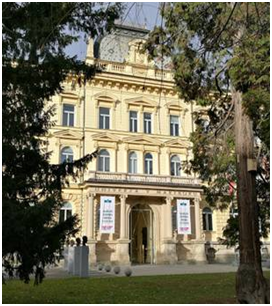 Looking forward to enjoy your company at the 14th IRDO conference in Maribor, Slovenia! This is not a festival. It is an experience! From June 20th to June 29th 2019 at over 40 locations across Maribor. With 25 years of tradition Festival Lent is one of the oldest and largest open-air festivals in central Europe, which turns Maribor into a giant open-air stage and a buzzing meeting place for people from all over the globe. Each June the medieval Lent district at the Drava River, the historic squares, picturesque streets of the Old town and even the mighty city park emerge as festival venues bursting with art, culture and creativity. We suggest you to stay with us for more days and enjoy Drava River and music stages nearby… And of course our business-scientific conference on CSR topic too! Please inform your members, collegaues about our conference and come to Maribor, Slovenia in June, if possible. Enclosed you can find our registration form.